Southern Accents most recent salvage mission found us tearing out a beautiful powder blue porch ceiling from an 1890’s house in South Alabama. As we began posting pictures of this beautiful wood, we received several comments regarding the paint color of the wood. We had heard a number of tales regarding the blue porch ceilings and decided to do a little research which uncovered three very interesting theories! 2) Another widely held belief was that the blue color repelled insects. For years, many believed that the light blue color fooled the insects into thinking that the porch ceiling was the sky, thus preventing them from nesting there. Although there is no evidence to indicate that this was sound reasoning, the blue color paint contained lye, which is a known insect repellent. The lye paint would fade quickly so the wood was supposed to be repainted every year. It is feasible that the lye in the paint acted as an insecticide that helped ward off bugs and spiders, thus giving credibility to this theory. 3) The blue porch ceilings are especially common to Victorian houses, which are known for using the soft color tones of nature. Soft shades of blue have a calming effect which lends itself perfectly to what was typically everyone’s favorite spot in the house… the front porch! 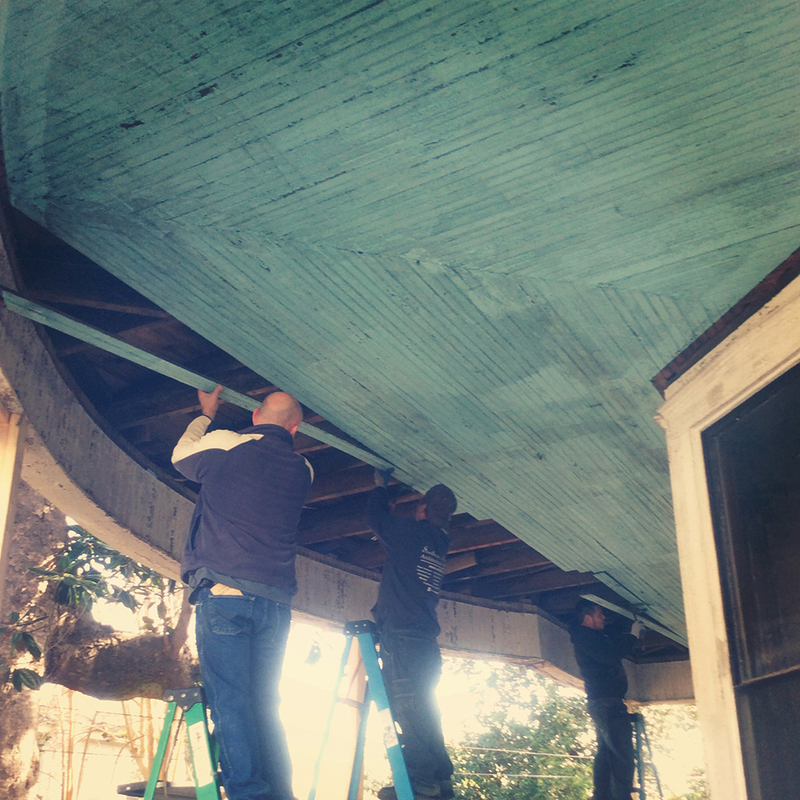 The Southern Accents team salvaging this beautiful blue porch ceiling from an 1890’s house in Greenville, Alabama. 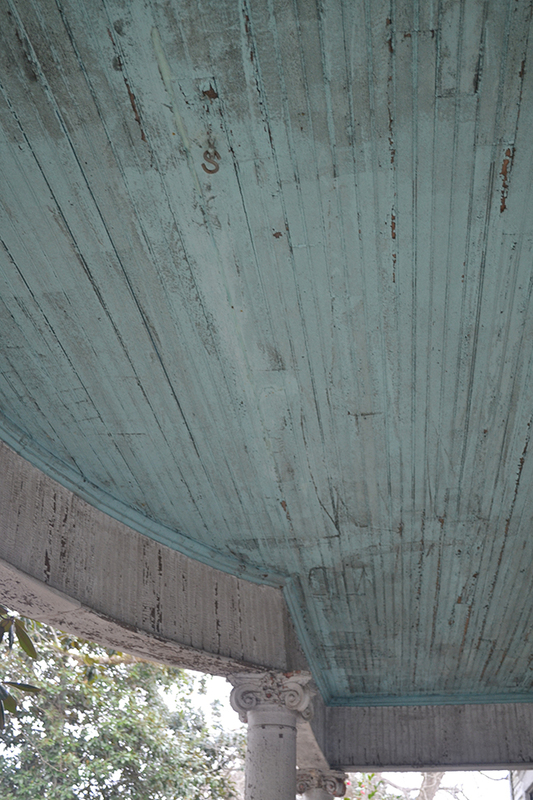 Although we will never know for sure why the porch ceiling that we just salvaged was painted blue, the wood is gorgeous and the beautiful blue color makes for a very interesting story. This wood has been delivered to our wood warehouse where it will be de-nailed and made ready for it’s next purpose. Stop by our wood warehouse to view our large collection of salvaged wood or stop by our showroom in historic downtown Cullman, Alabama and speak with one of our sales representatives. From the time I was a small sapling, I had dreams of one day making it big! You see, in my world, as a tree, I wanted to be beautiful, admired, treasured. I never imagined, however, that my humble beginnings would see such an exciting end! Each year as I grew taller and stronger, I could see myself as a fine piece of furniture sitting in the home or office of someone important, perhaps famous. Growing up in a large forrest, I was always surrounded by those trees who seemed destined for greatness. While the other trees were chosen, one by one for important tasks, I was left. I would hear tales of how many ended up in the hands of a master craftsman who lovingly turned their wood into hand carved mantels, beautiful flooring, carved furniture and strong entry doors. Just when I thought my dream would never become a reality, the loggers returned one last time and I was among the last to be chosen. However, my dreams were dashed, for I did not end up in the hands of an artist, but instead was taken to a sawmill. My beautiful trunk was cut into rough boards which were then nailed to the exterior of a small barn. Here, I sat for well over a hundred years, enduring countless rain storms, strong winds, droughts, snow and blistering sunlight. My weathered skin began to age and crack. 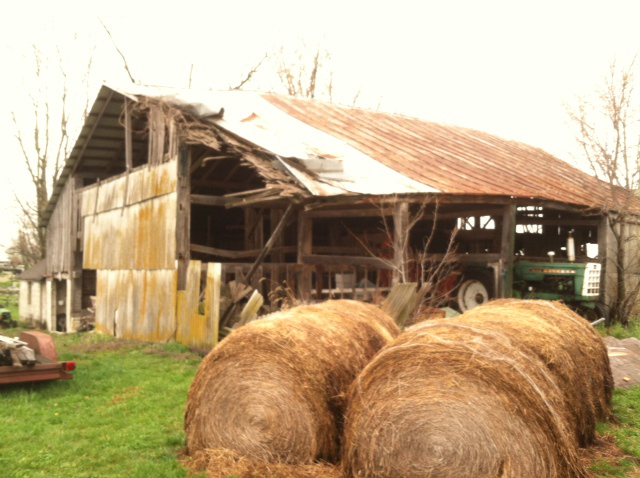 Eventually, the barn itself was neglected and reached a state of dis-repair. I heard rumor of other wood barns that were in a similar state being burned down so their owners would not have to maintain them. Just when I thought my dreams of becoming a masterpiece were being diminished… I was rescued! This is one of the many barns salvaged by Southern Accents. A group of workers unexpectedly showed up. One by one my boards were pulled from my frail barn structure and transported to a huge warehouse. Here, the rusty, time worn nails were removed. Many years of dirt and grime were brushed away. I was neatly stacked out of the weather and given a chance to dry out. Unfamiliar faces would show up at this warehouse where other wood was also stored and they would comment about my beauty and patina. I felt secure and protected. One day, unbeknownst to me, I was once again chosen for a very special purpose. My boards were cut into small blocks. At first, I was unsure why, but it all began to take shape as the blocks were carefully placed together. Like pieces of a puzzle, each small piece was meticulously selected by a craftsman. As the artists worked together to turn the small pieces into a “wood-brick” wall, I heard talk of a city called New York and a designer by the name of Billy Reid. Before I knew what was happening, I was whisked away and traveled many hours where I became an integral part of an exciting event called Fashion Week. 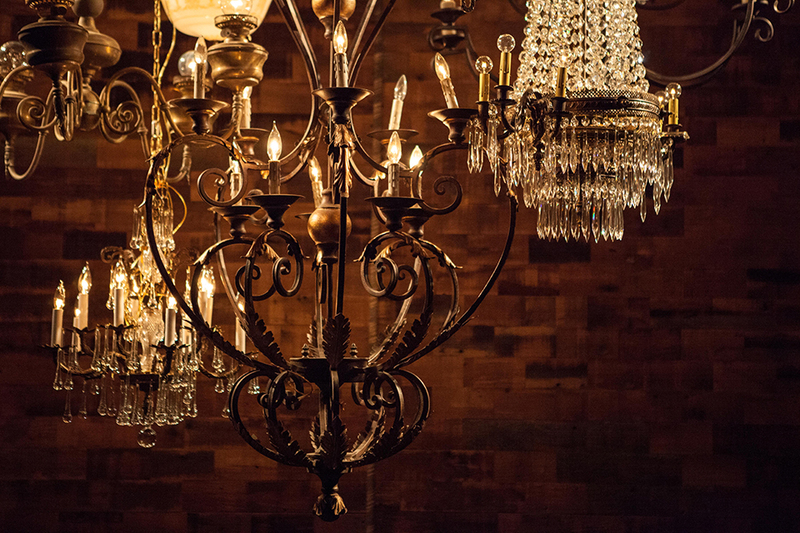 I served as a backdrop with magnificent crystal chandeliers which provided lighting on each wood block. As beautiful models graced my presence, cameras flashed, and the onlookers loudly applauded. I felt I had been given a second chance to be a masterpiece, even if it was for only one night!! Salvaged wood blocks were used to build this stunning backdrop for Billy Reid’s Fashion Week 2013 show. Picture used courtesy of Billy Reid. The night ended too soon, but there was one last surprise in store. The following day I was loaded back on a truck and began the journey to what would become my final resting place. I was placed in Billy Reid’s boutique in Georgetown. Unlike the role I played in Fashion Week, this time I was installed in their showroom as a floor. Each day important customers walk across me as they admire Billy’s latest designs. From a humble barn to an upscale showroom, my dreams have been fulfilled in a way that far surpassed my wildest imagination. 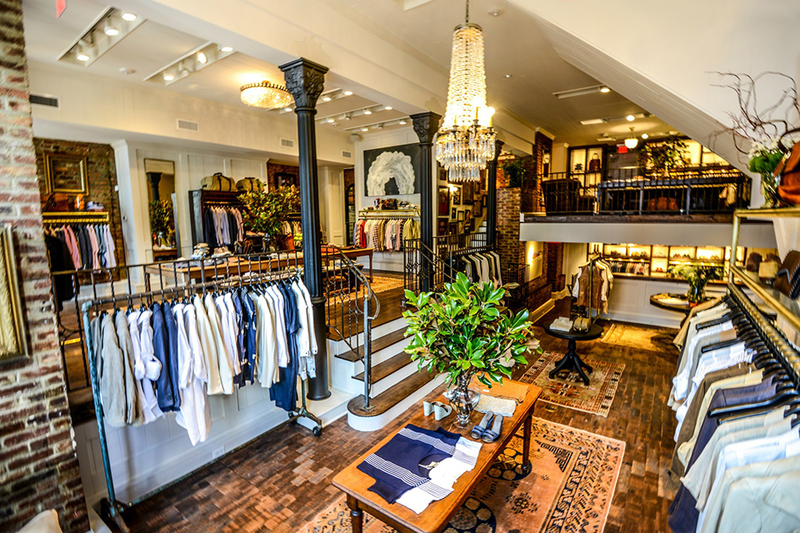 The wood-brick wall now serves as the floor in Billy Reid’s Georgetown retail location. Picture used courtesy of Billy Reid. 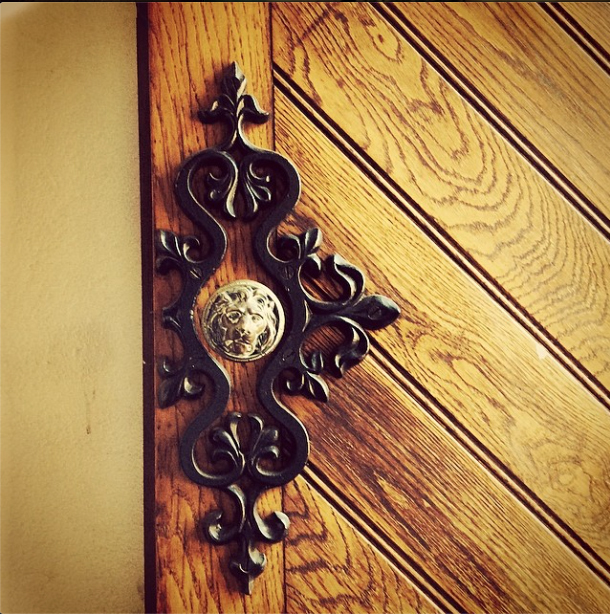 Southern Accents goal is to rescue, restore, and protect architectural elements of historical significance. 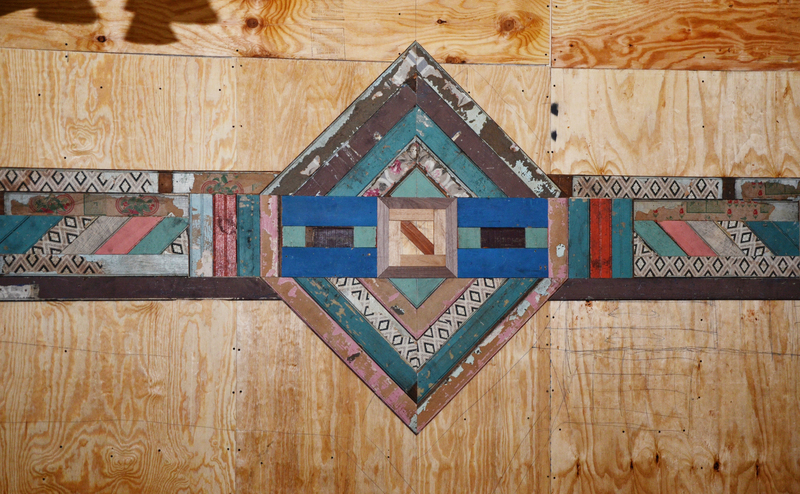 The salvaged wood used to construct the backdrop for Billy Reid for Fashion Week 2013 is but one small example of how we work to save architectural materials that can be re-purposed or designed into works of art. You can visit us online at http://www.sa1969.com or visit our showroom and warehouses located in historic downtown Cullman, Alabama to find your own work of art! 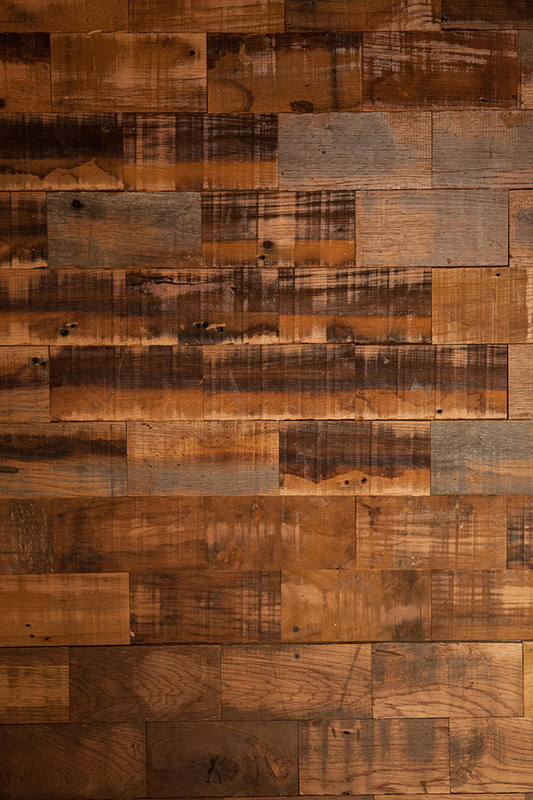 Wood-brick wall built by Southern Accents from salvaged wood blocks. This past weekend, a good friend of Southern Accents hit the road, heading south from Cullman to Mobile, Alabama. Instead of taking the quicker, easier route down the interstate, Patty decided to travel the backroads. It was a gorgeous day and she was in no real hurry to reach her destination so she and her husband embarked on a road trip, camera in hand, with the sole purpose of stopping along the way to admire anything that caught her attention. We thought this was such a great idea. Patty, like Southern Accents, loves antiques and sees beauty in the old, rusty, and worn out. We were thrilled that she took the time to share with us some of the discoveries that she made while traveling down old Highway 31. 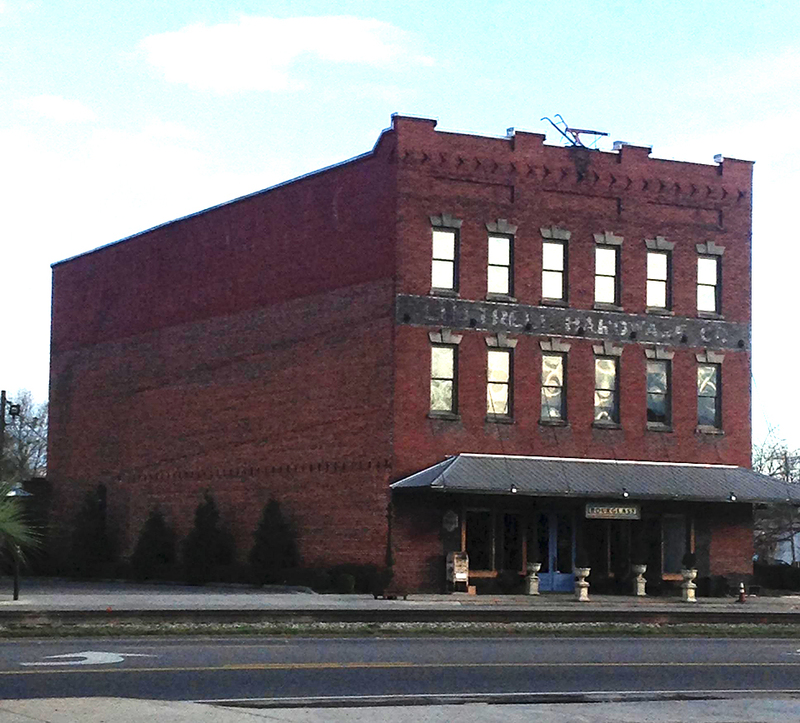 The masonry work and facade of this antique hardware store is beautiful. We couldn’t help but notice the old rusty hand plow sitting on the roof! A wonderful reminder of simpler times. 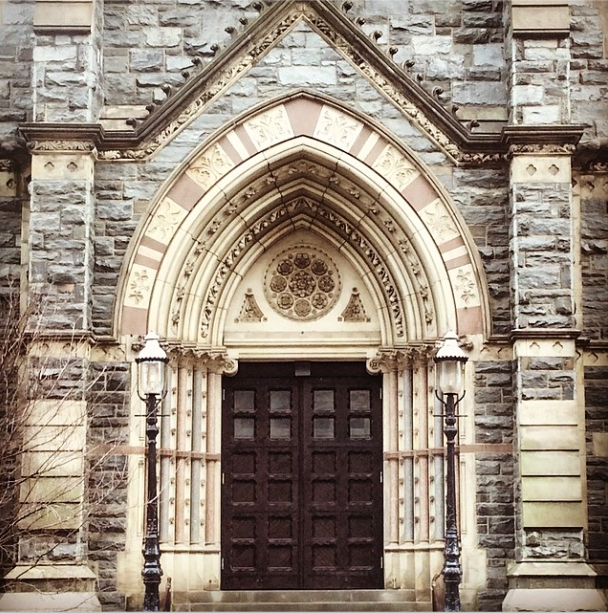 Stopping to admire and appreciate the beauty of these historic buildings is something that we seldom take the time to do. Once these buildings and structures are gone, they take with them a piece of our history which is why it is so important to picture them and document their history while they are still standing. The architecture on this old bank building in Brewton, Alabama is stunning. Known today as being the oldest bank in the state of Alabama, it was established in 1889 by a Civil War veteran and was the only bank between Montgomery and Mobile at the time. The interior boasts counters constructed of curled pine which is native to that area. It doesn’t matter what back road you take and you don’t even have to travel far… all you really have to do is take the time to stop and look around. Train yourself to look for the historical relics that you pass along the way to anywhere. Pull over and take a few moments to admire the workmanship. And, if you picture something interesting that you would like to share, we would love to see it! Please feel free to share your pictures on our Facebook page or tag us on Instagram with #saaa1969. Speaking of Instagram, the boss was out of town last week, but posted some stunning pictures from his trip to Washington D.C. on our Instagram page. If you are not following Southern Accents on Instagram, you are missing out! Look us up and follow us at: saaa1969 to view more pictures from our latest road trip! 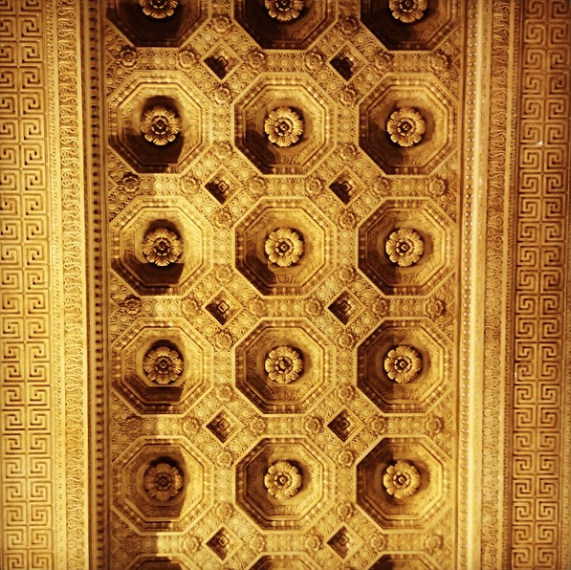 Gorgeous church entrance in Washington D.C.
Plaster ceiling from Bureau of Engraving building in Washington D.C.
Southern Makers 2014 – Save The Date! Last year Southern Accents was thrilled to be an integral part of a cutting edge event that was a HUGE success! We are equally excited to return this year as one of the curators for Southern Makers 2014. This one day event, held at the Union Station train shed in downtown Montgomery, Alabama, is scheduled for May 03, 2014. Southern Makers celebrates creativity and innovation in Alabama. The purpose of the event, which is held as a fundraiser for E.A.T. South, is to bring together highly curated, handpicked top talent – artists, chefs, breweries, craftsmen, and designers – to one central place, making it easy for adventurers to get a sampling of the very best Alabama has to offer. Event goers will be able to explore the talents of various craftsmen through tastings, demonstrations, panel discussions, workshops, maker conversations, and a market. This year’s market will feature goods from Billy Reid, Natalie Chanin and more than 100 southern artisans and chefs! Mark your calendars NOW and plan to be in Montgomery on May 3rd for this can’t miss event! Tickets will be available for sale around the middle of March. In the mean time, you can learn more about this fabulous event by visiting www.southernmakers.com. You can also learn more about the makers by following the Meet Your Makers postings on Facebook. Make sure that you are following Southern Accents on Facebook as well… we may be giving away a few tickets as the event date draws near! What do you get when you combine a sizable blank canvas, a team of extremely creative, talented artists, and access to an entire warehouse full of salvaged goodness… nothing short of an amazing work of art! 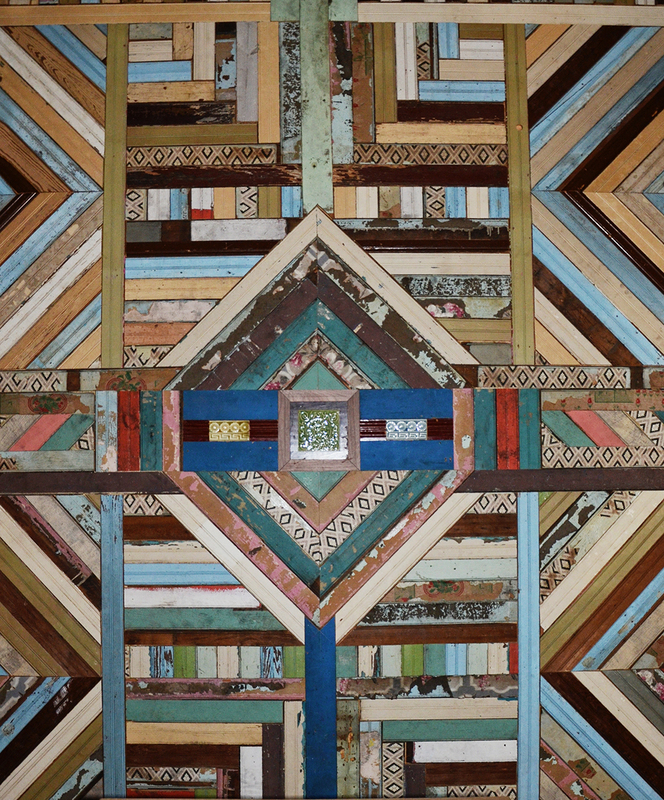 This beautiful salvaged wood wall art is a MUST SEE! The wall is located in Southern Accents upstairs showroom. If you follow Southern Accents on Facebook or Instagram, and you should, then hopefully you have seen a few picture posts over the past several weeks of our salvaged wood wall. We recently increased our office space in the upstairs area of our showroom. This construction project required the addition of a wall which provided an unexpected canvas and got our creative juices flowing! We looked at the wall and immediately agreed that it provided the perfect opportunity to showcase one of the many creative ways salvaged wood can be used. After tossing around a few ideas, Southern Accents owner, Garlan, pulled out his pencil and started sketching on the wall. What transpired from that point is awe inspiring! We insulated the new wall and covered it with plywood which provided the perfect canvas for our salvaged wood work of art. Garlan’s vision came to life through the works of one our talented team members, Wayne. The first step in turning Garlan’s vision in to reality was finding the perfect tools. Where many artists use brushes and paints, our tools of choice were a stack of beautiful salvaged wood and bead board, a table saw, and a nail gun. The salvaged wood that we chose looked like a painters palette! Many of the wood pieces were covered with vintage wallpaper. Other pieces were painted in a variety of beautiful colors. The wood was gathered and transported from our wood warehouse to the showroom. 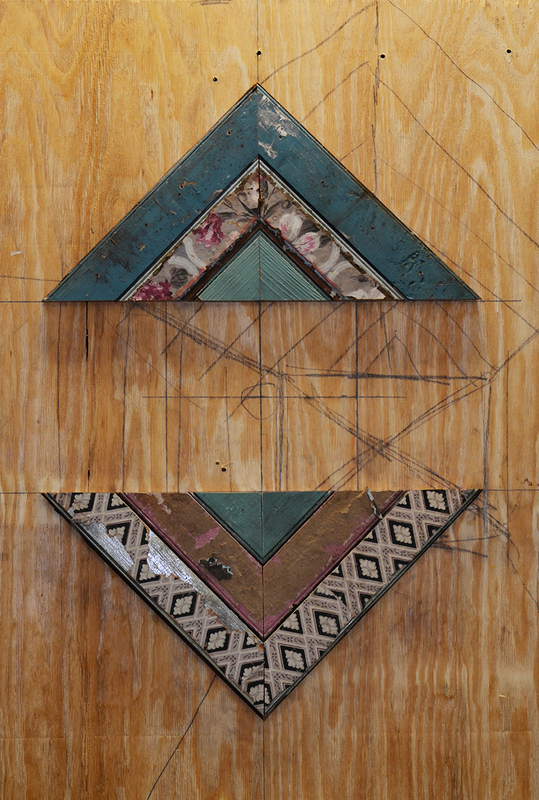 Wayne began the tedious task of measuring, cutting, and constructing the wall covering. Piece by small piece, as if putting together a puzzle, the picture began to take shape. The placement of each piece of wood was intentional. 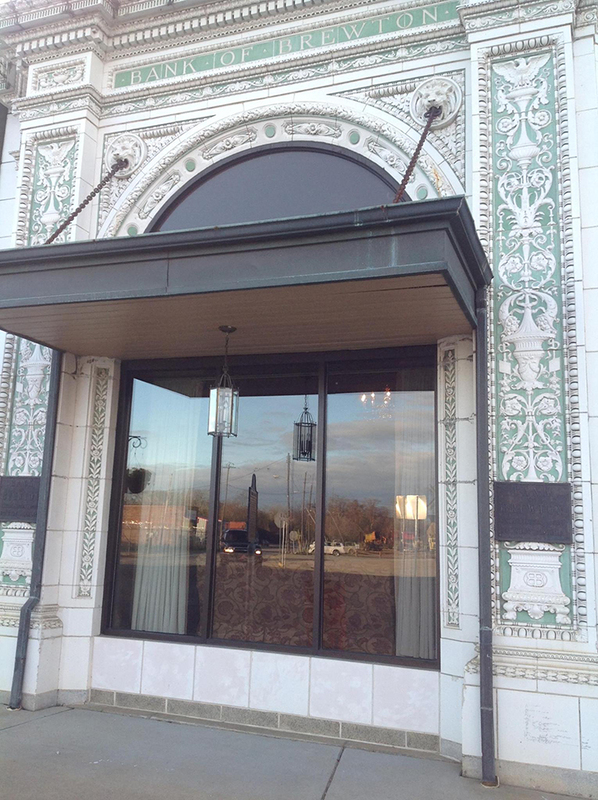 The finishing touch was the addition of three beautiful, Greek Key style, embossed tiles. The result is a must see work of art! The work of art took shape one piece of wood at a time. We want everyone to know that Southern Accents is SO much more than just an architectural antique store. When you shop with us, you have access to a creative team who are not only available to give input and ideas, but who also have the talent to help you turn your creative ideas in to reality! 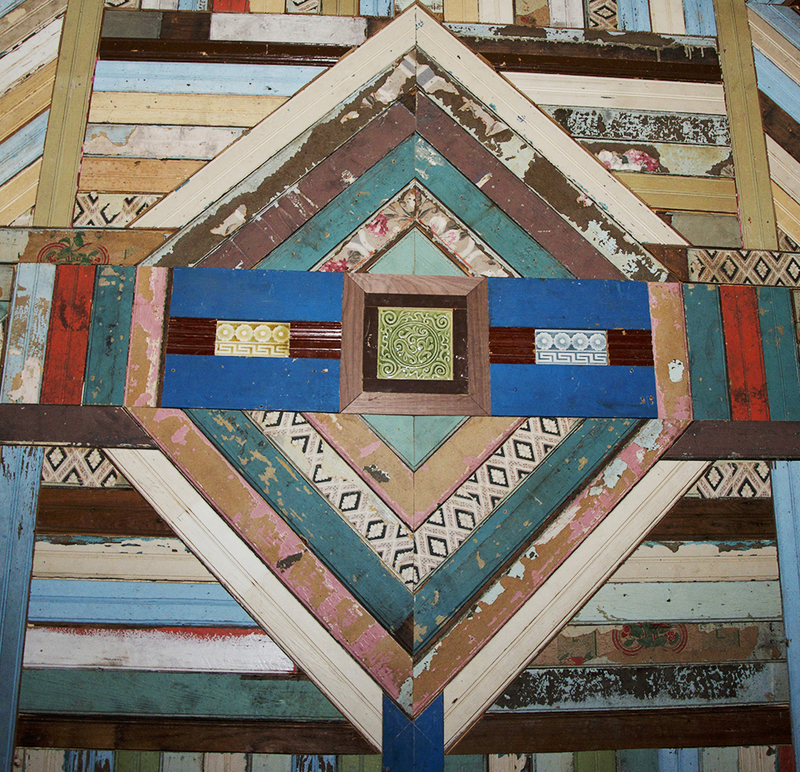 Stop by our showroom, take a look at our salvaged wood wall art and talk to us about your next project! The finishing touch was the addition of three tile pieces.